Home / Fanboying! 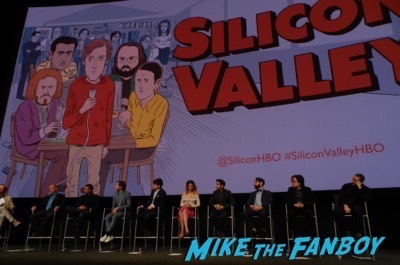 / Silicon Valley FYC Q and A! 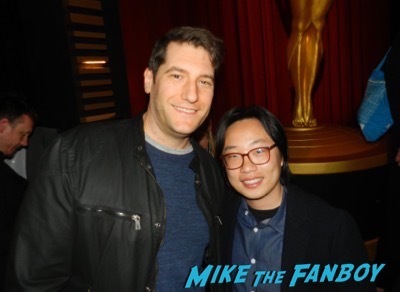 Meeting Mike Judge! Zach Woods! Martin Starr! 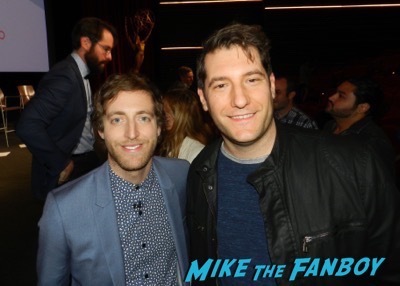 Thomas Middleditch! And More! 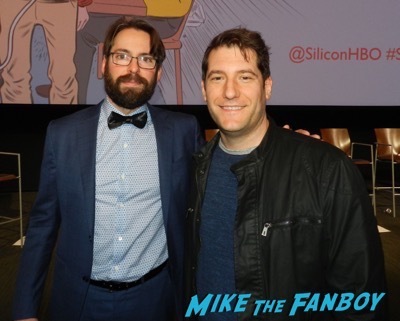 Silicon Valley FYC Q and A! 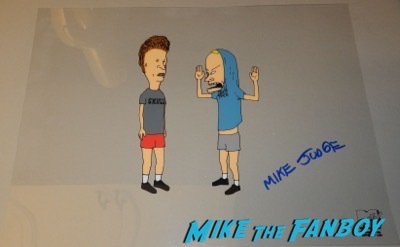 Meeting Mike Judge! Zach Woods! Martin Starr! 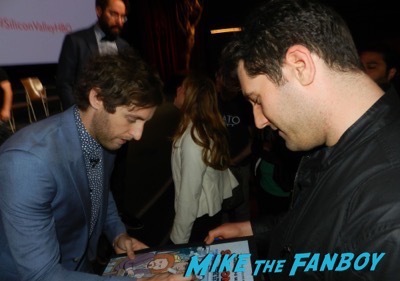 Thomas Middleditch! And More! 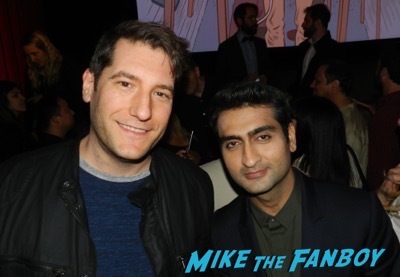 Okay, Silicon Valley is one of the funniest shows on television, I mean, every time I see it, the series just gets more and more hilarious! The panel was hysterical. The cast is just amazing and honestly I could listen to a panel of theirs for another hour! Saying this during awards season is saying a lot! 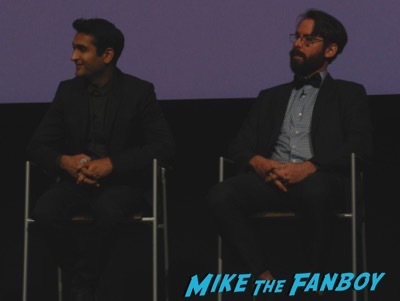 The cast talked about the technical language on the series. 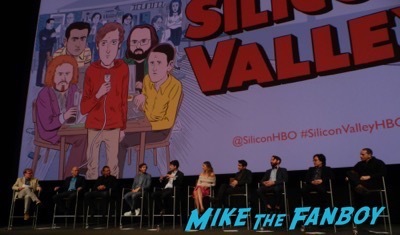 “We’ll be at the table read and you’ll get to a monologue with gobbledegook and it says, ‘insert tech speak here.’ “ added Thomas Middleditch. “We refine the show and then a few days before the shoot we have our tech consultants go through it. So that’s what changes and by the time they vet it all it’s several hours before we shoot.” Added Alec Berg. “In the pilot we had to reshoot. 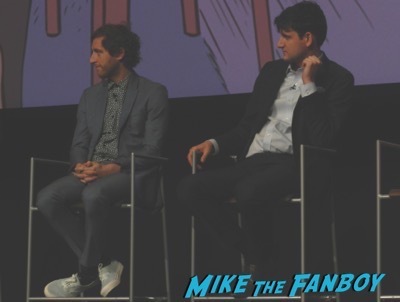 TJ Miller improved something were he said he owns 10% or Grindr and that would have meant he was worth like 50 Million or something.” Said Mike Judge. 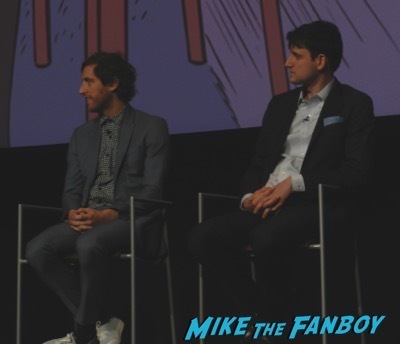 “It’s amazing to you guys how tech guys are super picky about details.” Added Zach Woods. It’s great that these guys are so funny. Their chemistry is out of this world. “I think if Jared makes it Rich, Jared would spend it on scented candles for everyone.” Deadpaned Zach Woods. “I would buy the land next to Dinettes house with a statue of me flipping him off.” laughed Martin Starr. After the panel all the guys hung out and met with the fans. 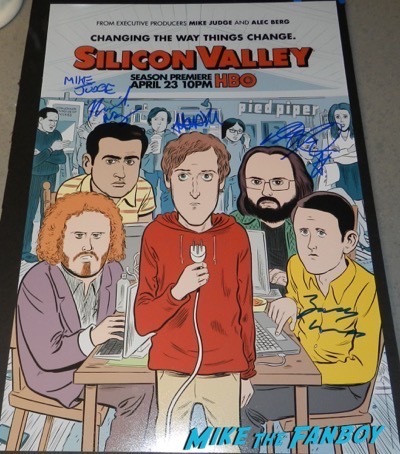 Mike Judge signed a Beavis and Butthead cel for me and my poster. 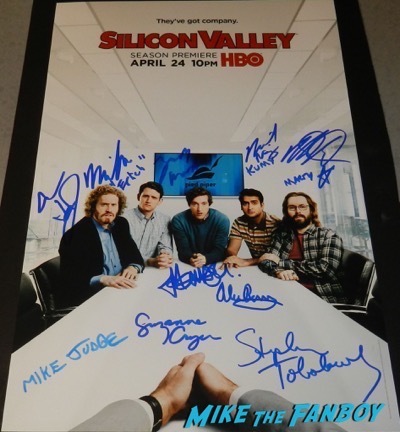 Martin Starr and Kumail Nanjiani signed my posters from last year and this years as well. Zack and Thomas signed this years poster for me. It was a great time, and super chill! Billy Beer Gets His Revenge On! With Emily VanCamp! Gabriel Mann! Henry Czerny! Ashley Madekwe! Nick Wechsler! Joshua Bowman! Christa B. Allen! Autographs! Photos! 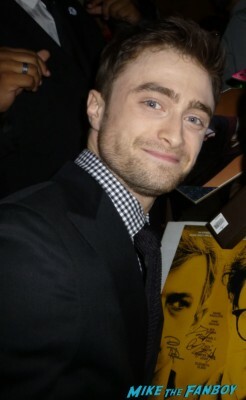 Daniel Radcliffe Walk Of Fame Star Ceremony! Anushika Meets The Harry Potter Star And He’s Super Nice To The Waiting Fans!